Buried in the legal language of the contracts we all sign for jobs, credit cards, and more are clauses that effectively curtail our constitutional rights. The hardest won rights are often the easiest to lose, and in the thickets of fine print surrounding every labor contract or credit card bill, all it takes is one careless signature to get roped into a deal with the devil—before you know it, you’ve already compromised your right to a fair trial or to speak out against an abusive boss. Despite American society’s reputation for litigiousness, there are as many things to sue over as there are ways to escape a lawsuit. In February, a coalition of lawmakers led by Senators Patrick Leahy and Al Franken introduced legislation to strengthen worker and consumer protections against binding arbitration—the obscure legal mechanism through which countless people have accidentally compromised their rights, by ensuring that a prospective future dispute with a company gets tracked into a separate legal system rigged with corporate impunity. The explosion of forced arbitration agreements has enabled contract law to do what democracy often makes difficult: getting people to effectively sign away, through a voluntary agreement, certain legal protections that they may not even know they had—until they need them. Within this pre-scripted alternative court system, the final verdict in typical civil legal disputes—whether they involve a boss refusing to promote female employees, or getting defrauded by a predatory student loan provider, or being unfairly denied overtime pay at work—can be easily manipulated in an opaque extrajudicial arena. Workers may find the laws that are supposed to protect them from discrimination and exploitation may no longer apply, and they can only bring a grievance against their boss to a private “third party” arbitrator instead of a neutral judge. Or you could just be prevented from seeking any legal recourse altogether, because it’s no longer financially feasible. 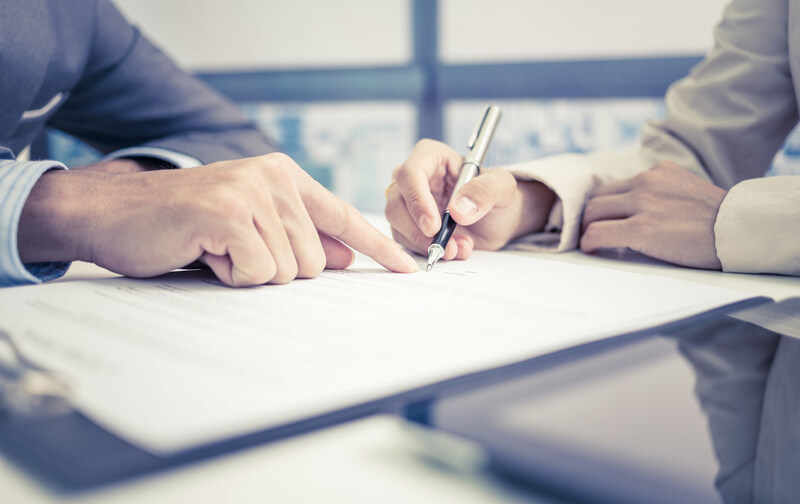 When a binding arbitration agreement bars a worker or consumer from filing a class-action suit in cases involving large numbers of claimants, individuals may find it prohibitively costly to undergo litigation on their own. The arbitration crisis has crept into other critical judicial arenas for workers’ rights, including the National Labor Relations Board (NLRB) and Equal Employment Opportunities Commission. In February, the NLRB ruled in favor of a Waffle House worker in Norcross, Georgia, who charged the company had violated the National Labor Relations Act by imposing an arbitration clause forcing employees “to waive the right to maintain class or collective actions in all forums, whether arbitral or judicial.” Similar rulings were issued in several other cases involving contracts with forced arbitration clauses limiting labor rights challenges. But pro-worker lower-court decisions will likely eventually clash against the prevailing pro-corporate legal precedent that has given employers overwhelming power in binding arbitration. Short of overturning the Supreme Court precedent, advocates are pushing lawmakers to plug gaps in the Federal Arbitration Act that have enabled corporations to block consumers and workers from taking them to court. Leahy and Franken’s “Restoring Statutory Rights” bill would amend existing laws to preserve essential constitutional remedies, ensuring that forced arbitration not be used to “supplant or nullify the legislatively created rights and remedies which Congress…has granted to the people of the United States for resolving disputes in State and Federal courts.” The measure would aim to shield access to the courts for workers and consumers by preventing corporations from trying to impose arbitration before any dispute even arises. EPI vice president Ross Eisenbrey says the bill would restrain employers from imposing binding arbitration by explicitly protecting workers’ “right to bring employment discrimination cases and wage and hour cases in courts, before juries, where their chance of success is greater and the average damage awards are greater than in arbitration.” This would also enable claimants to collectively file class-action suits to form a more substantive challenge to a company. But even with their rights to sue restored, workers and consumers face a legal system that’s steadily privatizing the business of justice. Any contract that denies citizens a fair public arena to claim their rights is foreclosing democracy, one signature at a time.